Ritalin is one of the most widely prescribed ADHD, or attention deficit hyperactive disorder medications. While it can have great benefits for those suffering ADHD, it also has a strong potential for addiction. In fact, in 2006, over 7 million Americans abused prescription drugs, equal to the number of people who abused cocaine, heroin, hallucinogens, Ecstasy and inhalants combined. Furthermore, 3.8 percent of high school seniors reported abusing Ritalin in 2007. The most common setting for abuse, however, is in college, where many students take it to stay awake and to help them study. This can lead to more serious addictions if the user is not careful. Thankfully, however, there are numerous Ritalin addiction treatment centers that help deal with this problem. With the help of Ritalin detox and treatment centers, making progress towards sobriety is possible. Call 1-888-287-0471	Who Answers? if you want information about Ritalin addiction treatment centers in your area. Ritalin comes in tablet form, similar to aspirin tablets. There are 5-mg tablets, which are pale yellow, 10-mg tablets, which are pale green, and 20-mg tablets, which can be either white or pale yellow. Often, the tablets are ground into a powder for snorting. Ritalin is also water-soluble, so it can be mixed with water and injected. Ritalin is not manufactured on the streets, but comes from the manufacturer Ciba. The effects of abuse are similar to those of cocaine, but Ritalin is often more readily available in schools than cocaine is, since many children are prescribed the drug. “The first step towards Ritalin addiction treatment is for the person to accept that they are addicted.”The first step towards Ritalin addiction treatment is for the person to accept that they are addicted. Although this sounds easy for the addict, it can be very difficult for the person to realize that he or she has a problem. The individual’s family and friends may need to step in to help the person face their addiction. Once this has been done, the addict and those willing to help should seek outside assistance. This is where the Ritalin detox and rehab treatment centers come in. While many addicts believe that they can overcome addiction problems on their own, the truth is that most times, they will need the help of a professional who has dealt with similar problems before. For information on which treatment centers are best for treating Ritalin addiction, you can call 1-888-287-0471	Who Answers? . The best Ritalin addiction treatment centers require patients stay in an inpatient rehab facility. Most rehabilitation centers will recommend that addicts stay at their facility for at least 90 days. This ensures that the addict will be able to successfully get through the Ritalin detox or withdrawal process, which can be very similar to the process of detoxing from cocaine and other stimulants. Because of this, the best way to deal with the effects of withdrawal is in a treatment facility. At a rehabilitation center, symptoms can be managed with other medications that are non-habit-forming, while ensuring that the patient has no access to Ritalin. In addition to this, Ritalin addiction treatment centers will give the addict valuable tools for coping with their addiction in the future, including the knowledge to help them recognize and change behaviors that may lead to addiction in the future. Patients are also taught how to enjoy their life without the use of Ritalin or other drugs and most of all, they finally gain addiction recovery. Furthermore, Ritalin rehab centers will be helping other Ritalin addicts, who form a community in order to support each other. These personal connections can help users to find the strength they need to overcome their addiction. Ritalin detox centers will also likely utilize 12-step programs, which have been proven to be an effective method in dealing with addictions to alcohol and many other drugs. With all of these tools combined, an effective Ritalin addiction treatment center should be able to help most addicts overcome their addictions. Although Ritalin addiction can be a serious problem, there are people that can help. 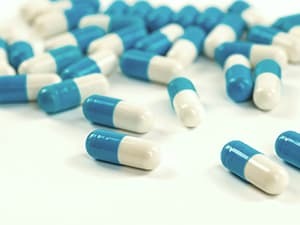 A qualified Ritalin addiction treatment center is the best way for an addict to get help; however, this is not enough. When the person gets out of the treatment center, the continued support of family and friends is necessary for him or her to remain sober. With this in mind, it is very possible for an addict not only to get through Ritalin detox, but also to continue to be sober for life. With the help of the right Ritalin addiction treatment center, knowledge, and support, sobriety can be achieved. To learn more about getting help for Ritalin addiction, contact our 24-hour helpline at 1-888-287-0471	Who Answers? .